Smooth & balanced texture that’s just sweet enough without overpowering cake flavors. 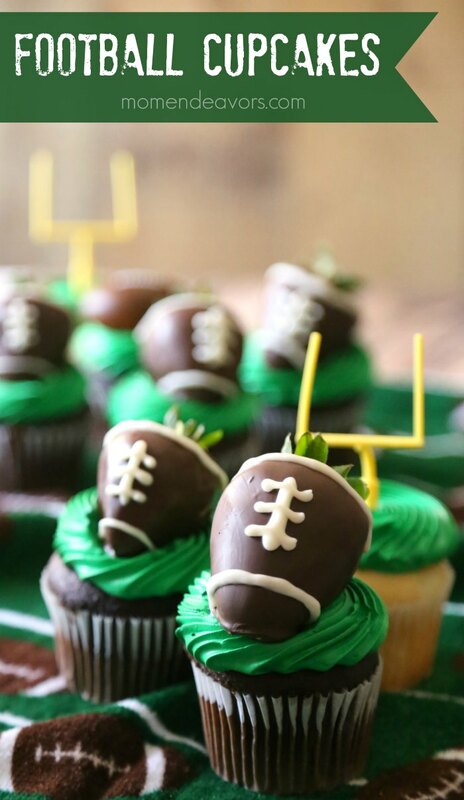 Now, you certainly can go really easy and just add some football rings (the bakery may even have them to put in) or other football decorating picks like these goal posts to the cupcakes. They are perfectly cute & tasty just like that! But, I thought it would be extra fun to do edible toppers. 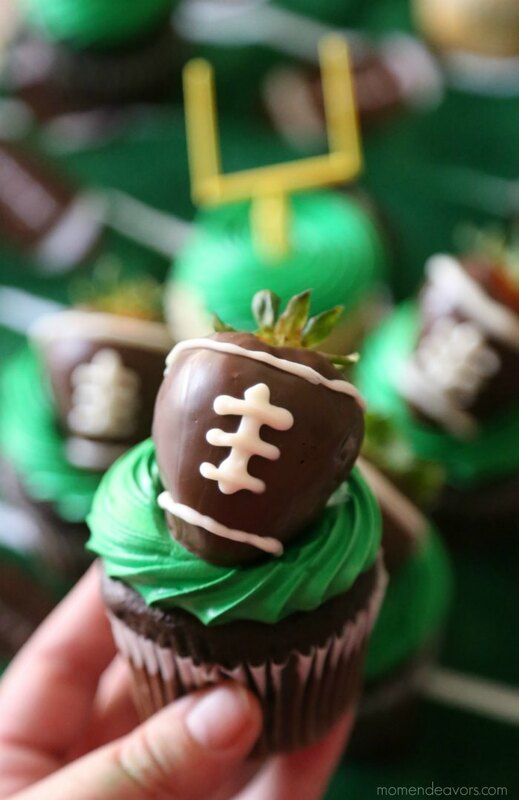 Seriously, how adorable (and tasty) are the chocolate covered strawberry footballs? LOVE these!! 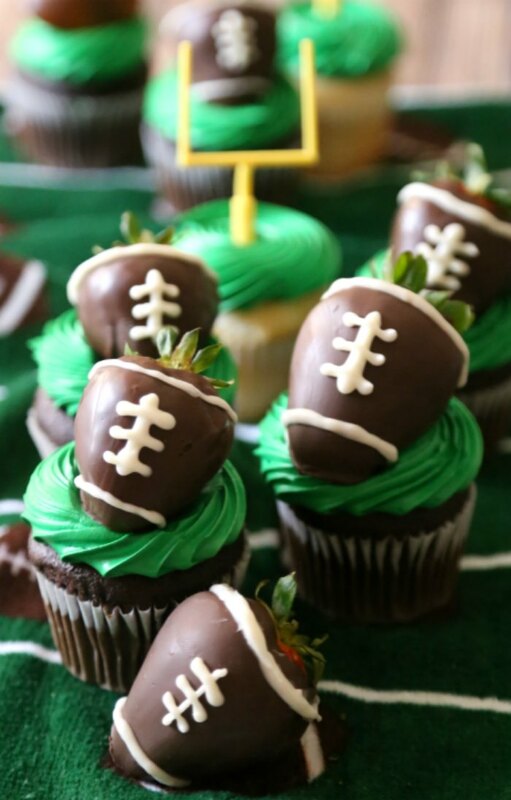 To make your strawberry footballs, you just need some strawberries (washed and gently patted dry), chocolate candy coating, and white candy coating. 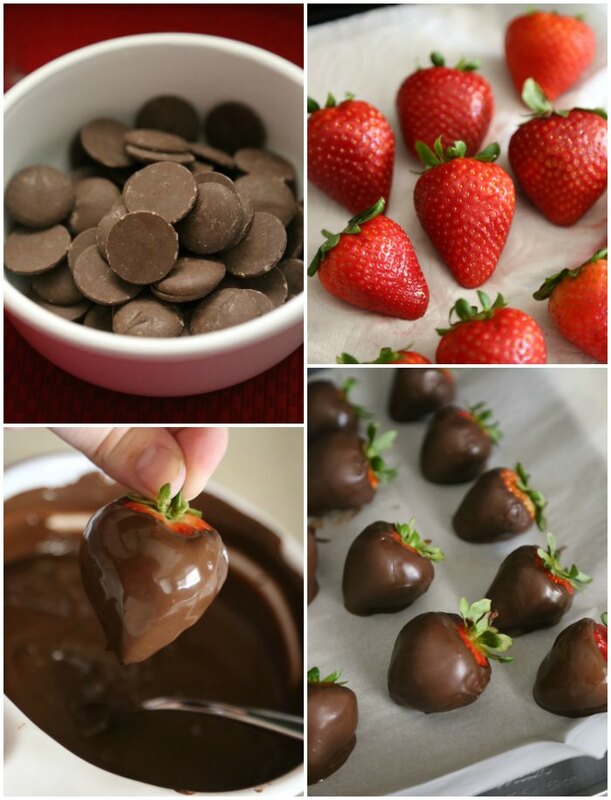 Dip your strawberries into the melted chocolate coating (melt according to the package directions). Place your dipped strawberries on a baking pan lined with parchment paper. After you’ve dipped all your strawberries, place the pan in the refrigerator to help the chocolate set quickly. While those set, melt the white candy coating and place into a piping bag or plastic baggie. Then pipe laces to turn the strawberries into footballs! SO cute! 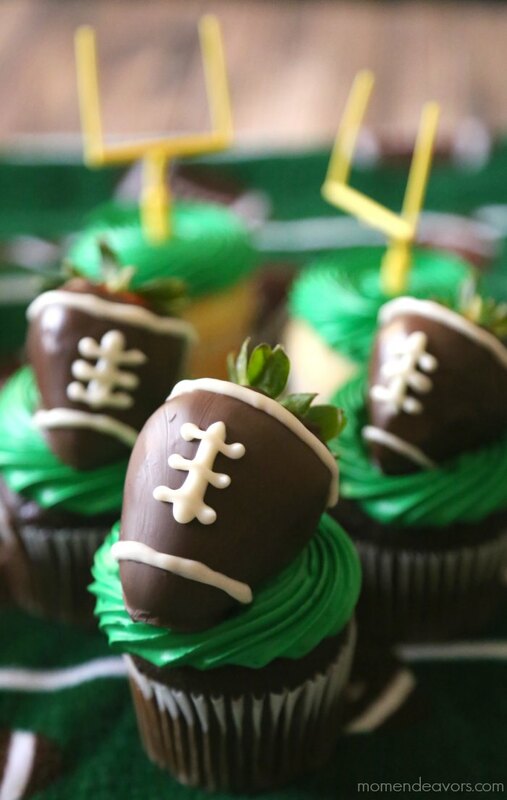 Place the finished strawberry footballs on top of the cupcakes and you have a dessert touchdown! 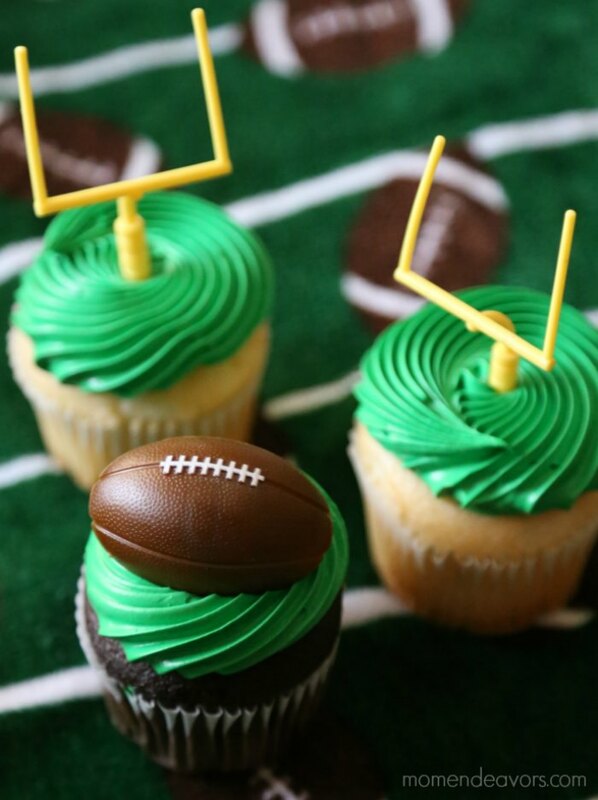 So, plan to make some of these fun football cupcakes for your next tailgate or game day party! They’re sure to be a win with your family and friends. And for more fun ideas and professional cake tips, be sure to visit AskForWhipped.com, an online hub for dessert lovers! 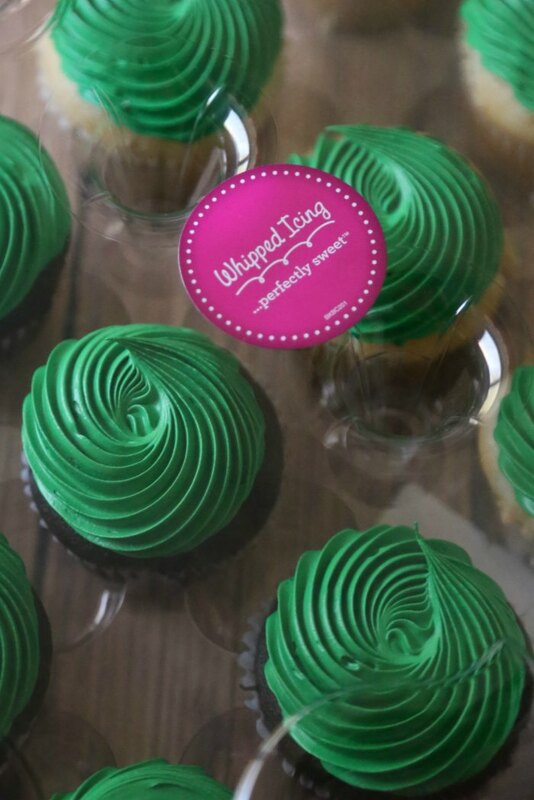 You can also follow @AskforWhipped on Instagram and Facebook for sweet inspiration!